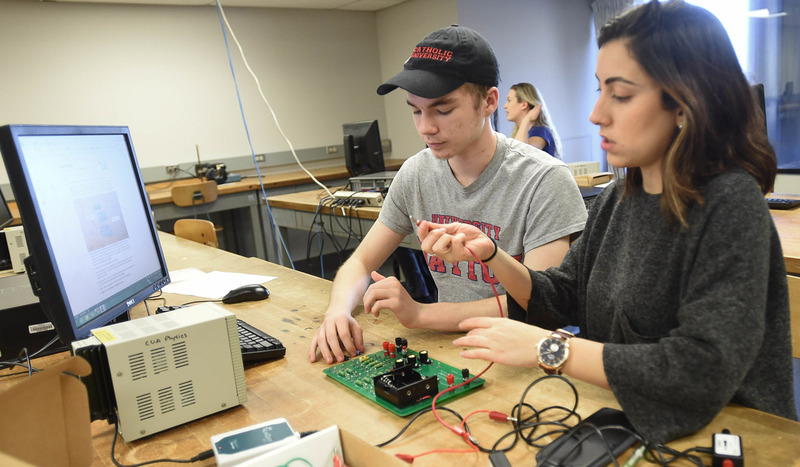 Funding priorities for the School of Arts and Sciences include faculty research support, student financial aid, operating needs, and several special initiatives. The Dean's Scholarship Endowments build financial support for tuition scholarships for outstanding undergraduate students at CUA. The first Dean's Scholarship was awarded in 2008-2009 and provides a 100 percent scholarship for a rising senior, to reward superior academic performance during the student's years at college. There are currently endowments for Arts and Sciences at large, and for the departments of Drama and Politics. The Theodore A. Litovitz Endowed Fund for Interdisciplinary Science honors Theodore A. Litovitz, Ph.D., who served on the CUA faculty for over 50 years. The Litovitz fund provides start-up research funding for projects in biophysics and other emerging scientific research areas that span traditional boundaries between disciplines. The Dean's Digital Consortium is an endowment that supports facilities and projects in digital art and design, through programs in the Department of Art and the Department of Media Studies. Spanish for Health Care Professionals is a certificate program that addresses one of the most critical needs in health care today.